How are you all doing today? My name is Maurice Diemeer and I’m the primary concept artist of the turtle team. This time around I’m the lucky fellow that got to write a blog post about some of my work. In this blog post I’ll talk a little about my process when creating environment concept art for RITE of ILK and how to make sure that one environment is relatable to another. 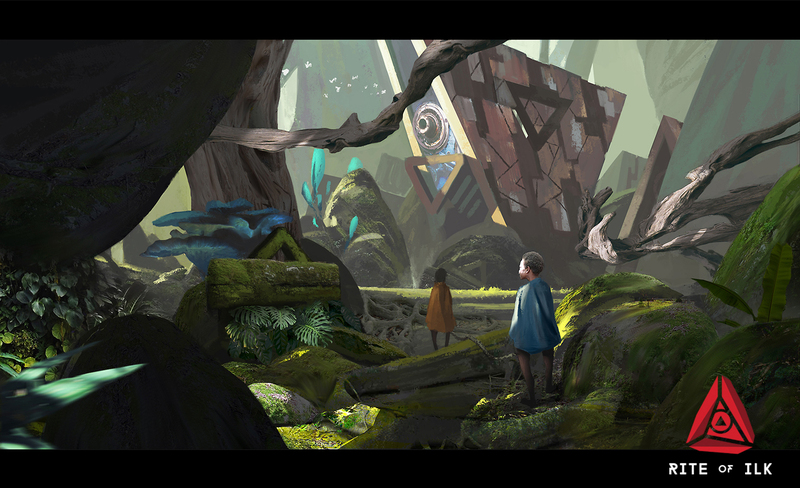 Our game takes place in a nature heavy environment that contains ruins of an ancient civilization. Everyone can imagine a jungle environment to some extent, but unique ruins, they can completely define the global tone of our game! This makes the ‘look’ of our ruins very important. Since it’s so important and a lot of the gameplay takes place surrounded and succumbed by these ruins, this was one of the first things that I wanted to tackle! 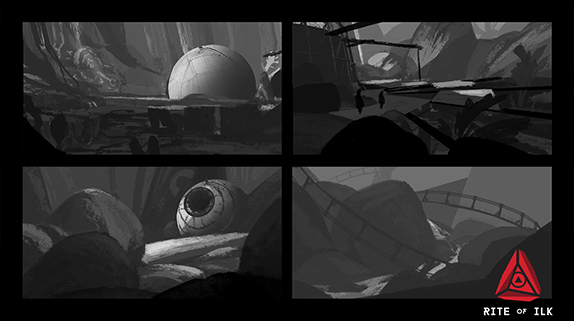 I started out with some basic thumbnails to explore multiple ideas and to look for interesting shapes. At this stage in the concept development, nothing was set in stone yet! I just started out by quickly creating interesting looking environments to see what works and what doesn’t. After doing a couple of these thumbnail sheets, I was quick to notice that something was missing. Because we have different types of environments and ruins, we wanted them to look different but still as if they’re related to one another. This meant that we had to figure out a way to create a certain consistency. 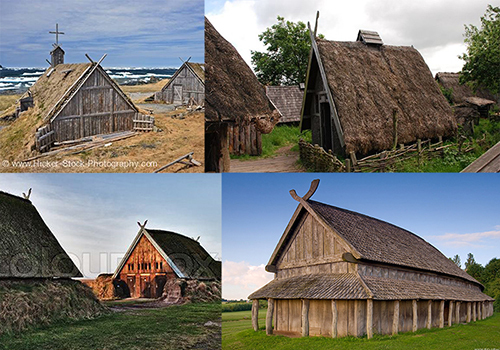 Let’s say, for example, you search for Viking architecture on Google. I can imagine that you will find a lot of different types of houses and structures, and even though those houses have different shapes and sizes, you can still see that it’s part of the same tribe and culture. This is because of the general shape language the Vikings used – their consistency. To achieve consistency in our game, we needed a general shape language too. This shape would connect everything in our game world to one another, regardless of how different the environments turn out to be. This makes our world consistent and relatable. It’s a strong shape that reads really well, it’s also a shape that you don’t see very often in nature itself, making it stand out from the environment – exactly what we wanted to achieve! This ‘triangle’ shape in the ruin became the overall shape that connects all the different types of environments we have in the game, and helps in making sure that the game world is cohesive and believable. This was a small glimpse of my work process! If you’ve managed to reach this part, thank you for reading. I hope it made a lot of sense, if not, well… at least you had some pictures to look at.